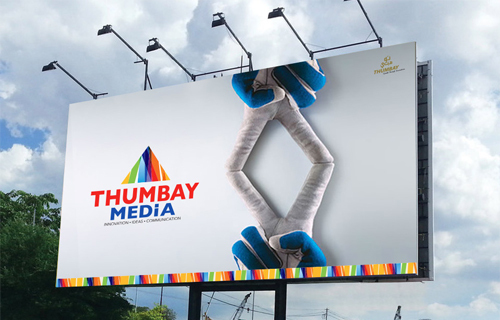 High quality, eye-catching hoarding design services to add value to your advertising campaign. We partner with you in advertising your products in a simple yet catchy way. Clients can either choose from our wide range of templates and ask for customization, or order a fresh new design from scratch. We offer a one-stop-shop for all your brochure design needs. 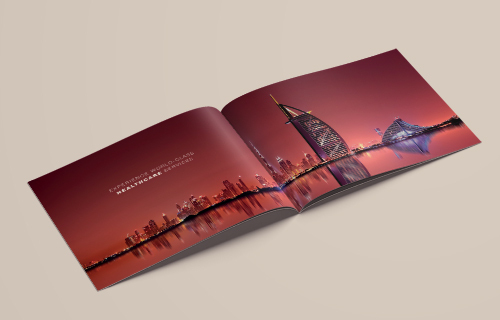 Our innovative brochure designs add the professional look to your business. Our team of creative writers and designers are committed to helping the client create that most important ‘first impression’. Our professional flyer design and printing services help you stand out from the crowd. 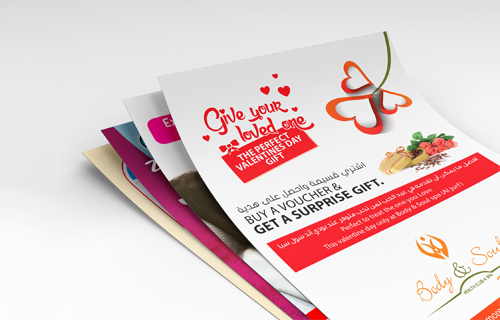 We make eye-catching flyers which are guaranteed to deliver results. Even the minor details are focused on with all seriousness, to ensure that your flyer comes out as a compelling and catchy piece. A logo is the most important identity of a brand. We believe that a logo is the face of the company. Our professionals deliver logos which highlight and define the brand identity, which you would be proud to show off. Creative and appealing magazine designs are our forte. 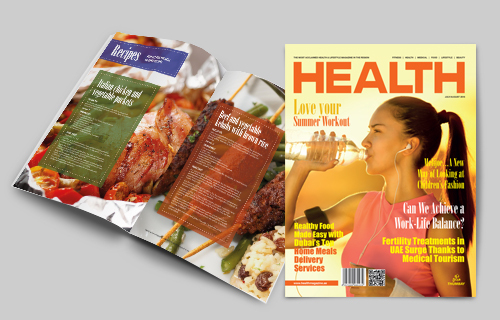 Whether you want your magazine to attract attention on the newsstand, bookstore or in digital platforms, our unique magazine designs help you stand out. With wide experience in print and graphic design, our team of experts deliver the best magazine design services. Whether it is at events, exhibitions, conferences or inside business establishments that you are trying to increase your brand’s visibility, roll-up banners come in quite handy. 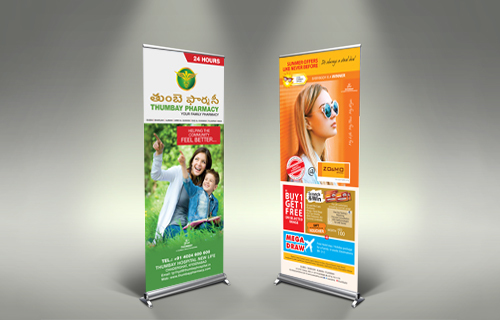 We produce high-quality roll-up banners with retractable stands customized as per the clients’ specifications.